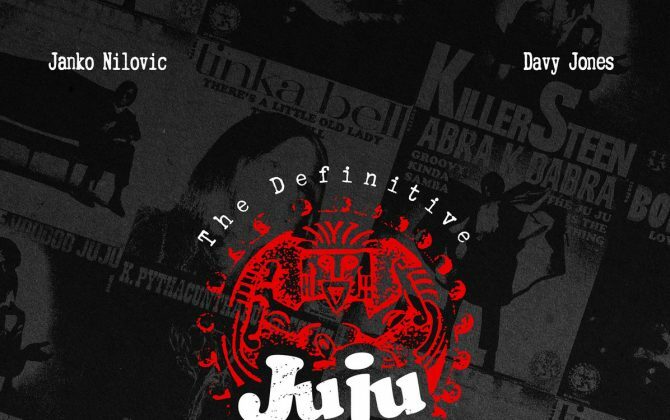 Album Description THE DEFINITIVE Ju Ju Records Collection (1968 - 1969) By Janko Nilovic & Davy Jones Nearly 58 minutes of pure rare groove is the 12th release of the French label Broc Recordz, founded by Dipiz in 2003. It is also the first limited edition (300 copy) gatefold double lp release of the label with all the 7 inch original covers artwork, black and white photos and a dance tutorial to the hit 'Voodoo Juju Obssession as well as liner notes by Janko Nilovic himself. Dipiz has been pushing bondaries between the world of hip hop, and musical composer in particular library composer like Janko Nilovic. Not only you will find the entire collection of Juju Records but also dope and exclusive edits by french producers. 2 edits by Dipiz himself, one by Alexis Hountondji aka Kofi & Renaud Lainé and another one by break beat duo Last Bongo In Paris (Cleon and Jazzy Pidjay) Mix & mastering at studio Les Murs du sons. Beautiful artwork by the Wickidz. I have to thank first and foremost my producer and manager Gérôme Molleton (Dipiz) who gave me great pleasure to bring out these pieces that were so close to my heart. Indeed, I discovered Soul Music,Funk, Groove thanks to Davy Jones. Until then, it was the Jazz,Rock and Classics, and since then everything has changed.